The undergraduate years are a turning point in producing scientifically literate citizens and future scientists and engineers. Evidence from research about how students learn science and engineering shows that teaching strategies that motivate and engage students will improve their learning. So how do students best learn science and engineering? Which teaching strategies are most effective in developing their knowledge and skills? 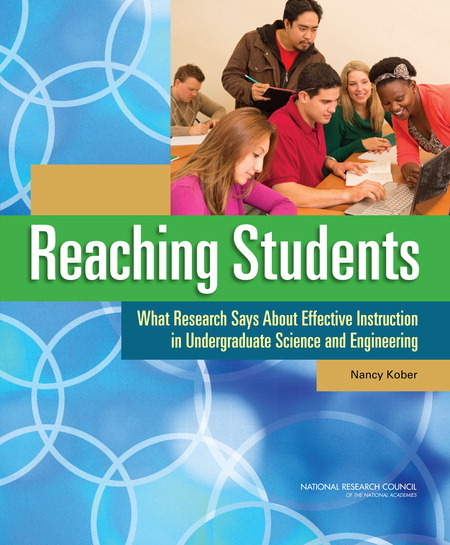 Based on the research synthesized in the 2012 NRC report Discipline-Based Education Research, Reaching Students strives to answer these questions and presents the best thinking to date on teaching and learning undergraduate science and engineering. Focusing on the disciplines of astronomy, biology, chemistry, engineering, geosciences, and physics, this book is an introduction to strategies to try in undergraduate classrooms. Concrete examples and case studies illustrate how experienced instructors and leaders have applied evidence-based approaches to address student needs, encouraged the use of effective techniques within a department or an institution, and addressed the challenges that arose along the way. Discipline-based education research (DBER) is a collection of research fields that investigate how students learn, in particular scientific disciplines, and identify ways to improve instruction. 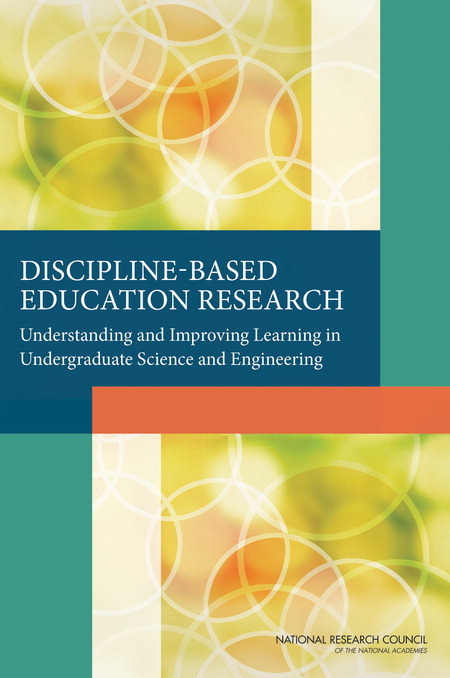 Discipline-Based Education Research: Understanding and Improving Learning in Undergraduate Science and Engineering synthesizes findings from these disparate research literatures and analyzes the extent to which they have prompted widespread changes in teaching practice. The report provides guidance about future research, about ways to improve the quality and usefulness of DBER across all natural science disciplines, and about the implications of this research for instruction and assessment across undergraduate natural science courses. The webinar focused on putting this report to work to improve undergraduate instruction. A panel of experts provide a summary of the book and discuss evidence-based teaching approaches.